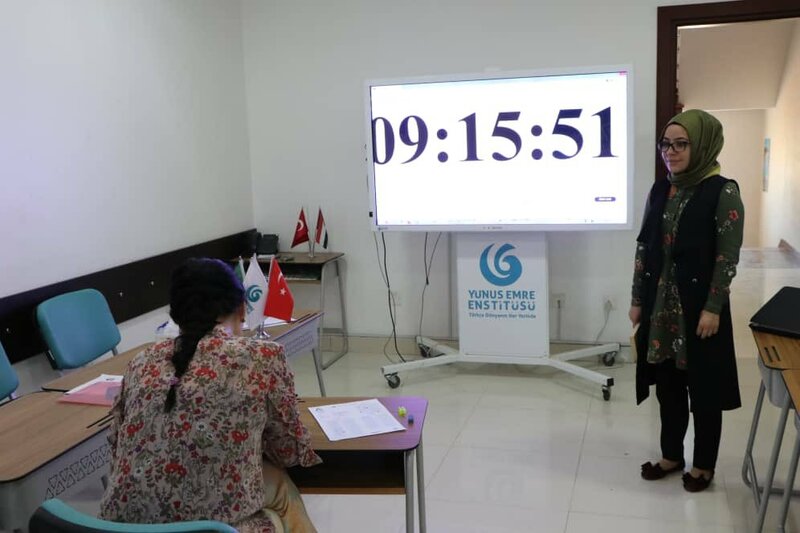 Yunus Emre Institute administered the year's first Turkish Proficiency Exam (TYS) on Saturday, January 26, 2019. More than 1,000 applicants attended the exam held simultaneously at 41 points in 35 countries, and this figure represents a 60 percent rise compared to the previous exam. The TYS measures the applicants reading and listening skills in the first session, writing skills in the second session and speaking skills in the third session. 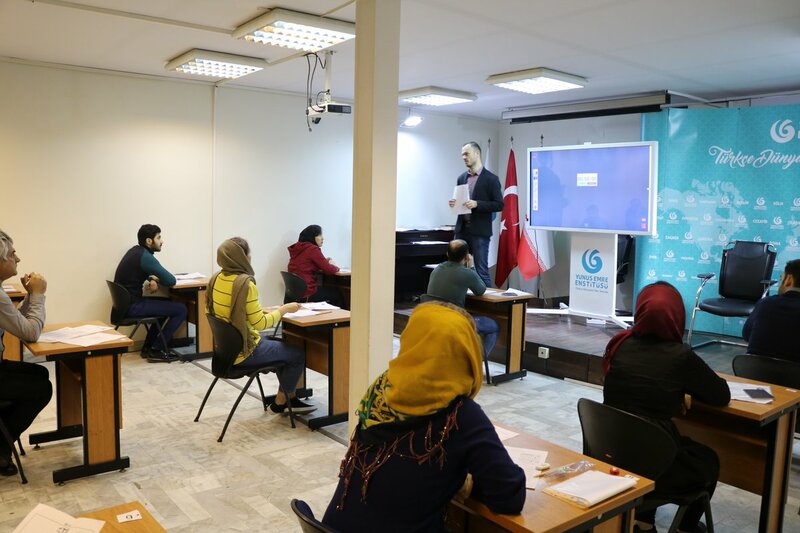 The applicants who seek to certify their proficiency in the Turkish language are given Turkish Proficiency Certificates at B2, C1 and C2 levels based on their scores from the exam. The TYS is designed to provide an international exam for Turkish and facilitate the policies of admitting foreign students, and those who can obtain Turkish Proficiency Certificates by taking the TYS can be exempt from attending the Turkish preparatory training when they became eligible to attend a university in Turkey. The Turkish Proficiency Certificate provide huge advantages not only for students, but also for those who seek to work in Turkish or at international Turkish companies, those who want to work as translators or interpreters and prospective teachers who seen to teach Turkish abroad. This year, the highest number of applications for the Turkish Proficiency Exam has come from Azerbaijan as usual. The Azerbaijani students who were successful in the Foreign Student Exam (YÖS), required for those who wish to study in Turkey, and conducted by Turkish universities, showed great interest in the TYS. The highest number of applicants was from Baku, the capital of Azerbaijan, followed by Ankara, Astana, Turkistan, Cologne, Berlin and Tokyo. The second Turkish Proficiency Exam will be held on May 18, 2019 and the deadline for applications for it is March 18, 2019. For detailed information, visit tys.yee.org.tr.